Conducting a brand audit is often perceived as a huge, time-consuming undertaking – not to mention the anxiety of not knowing what you’re going to uncover during the audit and the fear of discovering that your brand has gone off the rails. And so the project gets pushed to the back burner. The problem is that no company can afford to take the eyes off its brand. As with most marketing endeavors, the question isn’t whether you should or shouldn’t, but how to make the most out of your brand audit. It doesn’t have to be an ordeal! 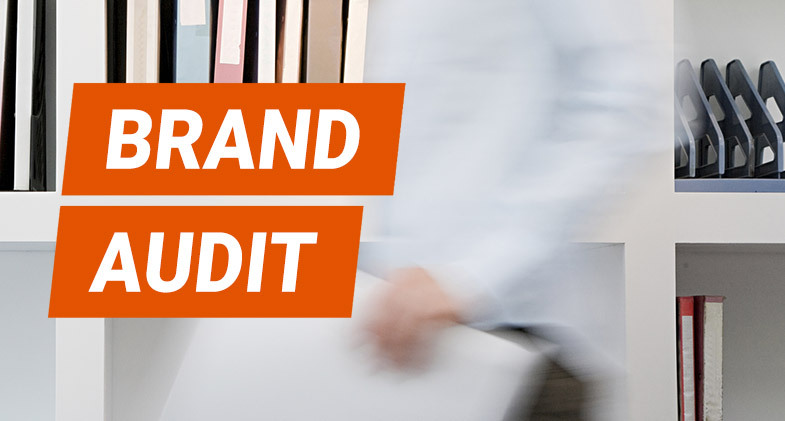 Our step-by-step Brand Audit guide provides with the framework to ensure your brand stays on track and under your control. First Things First – What Should You Audit? Learn more about what brand strategy is and isn’t. Learn more about brand platform. Is your brand voice distinct and consistent? Does your personality come across in the tone and style of your design and copy? Are your writing and design style guides up to date? Before you embark on the audit, spend time developing the framework you’ll use to assess your brand. Begin with reviewing your brand platform, including your brand’s purpose, position, promise, essence, values and value proposition. Keep those top of mind as you work your way through the audit. This will help you measure whether or not your marketing communications and touchpoints remain in alignment with your brand strategy and vision. In the absence of a formal brand platform, start by reviewing your company’s vision and goals, its buyer personas and the competitive landscape. These tools will enable you to set objective benchmarks for analyzing whether or not your brand and marketing communications convey the right messages to the right audiences at the right time – helping you achieve your goals and differentiate your company from its competitors. A critical part of a brand audit process is reviewing your brand against your business and marketing objectives, which means you must first be clear on what you hope to achieve. Who are your target audiences? What are their needs and challenges? What is the level of brand awareness among your target audiences? What is your company’s current brand perception? Is it different from how you would like to be perceived? What is your current market share? Are there opportunities to expand? What are the main obstacles to making that happen? Do you need to increase visibility among your target audiences? Is your brand perception dated, inconsistent or plain wrong? Is there an opportunity to capture a larger piece of the pie? Are you looking to enter into new markets or attract new audiences? What realistically can be accomplished in the next year or two? Of those goals that can be accomplished more quickly, which will have the greatest return on investment? You now have a general overview of where your brand currently is as well as what you want to achieve. Brands are shaped by their audiences’ perceptions and experiences, and so a deep dive into the mindset of your key brand stakeholders is critical in identifying any gaps that exist between your current and desired brand perception. Stakeholder input will help validate what your company believes its most critical differentiators to be and uncover any discrepancies that exist between what you feel is important to your audiences and what your audiences value most about your company. The two major audience groups you’d want to include in the information research and interview process are internal (leadership, advisory board, staff) and external (customers, partners and influencers). The data you collect will determine whether any adjustments need to be made to your brand strategy, brand platform and/or any forms of marketing communications. Learn more about conducting customer research. What is the position that your company owns in the marketplace? How are your competitors positioned? Make sure to consider competitors in your specific markets (industry, geography, etc.) as well as those that come up in the same search results as your company or are considered similar by your clients. What is your primary point of difference? What sets your company apart? Do you need to make changes to your brand strategy and positioning to better leverage what makes you different/better than anyone else? Learn how to conduct killer competitor research. Next, examine your marketing communications against your brand audit architecture to determine their effectiveness. Think about the overall experience of your public-facing communications. Do they balance technical information with emotional content and presentation? Are you communicating the tangible value your company offers to its target audiences? Are you communicating in a way that resonates with and is relevant to your audiences? Do your communications immediately convey the reason to choose your company, or do they look and sound just like those of your competition? Are the tone and style of your design and message consistent and on-brand? Do your communications clearly and directly address each target audience and their unique needs, wants and challenges? How often do you communicate with your target audiences? Is this enough to stay top of mind? Are you communicating with your audiences through the channels of their choice? Does each of your communications have a clear call to action, spelling out precisely the next step you want your audiences to take? At this point in the process, you have the information you need to determine whether your brand is on track, needs to be refreshed or will require a more significant revamp. Learn whether a rebrand or a brand refresh is right for your company. These final sets of questions will help you determine exactly what needs to happen next and the extent of changes you’ll want to consider. Does your brand lack relevance? Does it no longer represent your internal culture? Does it fail to keep up with changing customer demographics and attitudes? Are your design and message inconsistent or plain tired? Is your brand (and its assets and expressions) too old to seamlessly translate across emerging channels and new customer touchpoints? Do you need new tools and materials to market your company and its offerings more effectively and efficiently? Answering yes to any of the above questions means you are due for a brand refresh. Are our competitors leaving you in the dust? Do we lose more proposals than you win? Are we pursuing more proposals than you should? When we lose an opportunity, does it always seem to be about the price? Can we articulate how our company is different/better? Are we struggling to attract and retain top talent? A yes response to any of the questions above indicates a positioning problem. It’s not clear what sets your company apart from its competitors, which typically warrants a rebrand. Are you planning to enter a new market, expand geographically or add new service offerings? Have you acquired or merged with another company? If you answer yes to any of these questions, it’s time to consider revisiting your brand or even considering a full rebrand to proactively manage change – especially if you never had a strong brand strategy in the first place. The purpose of a brand audit is to identify any actions your company needs to take to strengthen its brand. So your key findings should be paired with a detailed action plan and steps to execute. You should also identify the exact results you expect to achieve. Monitor your progress to assess how close you are to your goals by the time of the next brand audit. Keep in mind that continually monitoring progress on the goals doesn’t mean you can skip the next audit. After all, a lot can happen in a year. Those internal changes and external shifts may require further review and adjustment. If you don’t carve out time to assess your brand within the larger and wider context on a regular and ongoing basis, you might end up meeting last year’s goals only to realize the goalpost has significantly shifted. At Substance151, we help companies develop strong brands that create a competitive advantage in a crowded and always evolving marketplace. Contact us to start a conversation or email for help assessing the strength of your brand and developing more effective strategies to win the work you want. Our step-by-step Brand Audit guide will help to ensure your brand stays on track and under control.